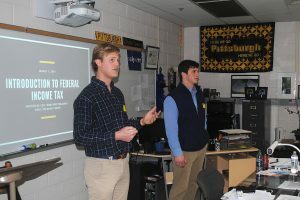 W&L Students Provide Income Tax Assistance The students will provide basic preparation of state and federal income tax returns to qualified residents. 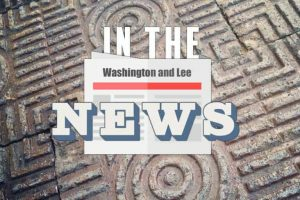 A group of Washington and Lee University students will provide free income tax assistance in February and March to qualified residents in the Lexington-Rockbridge County community through the Internal Revenue Service’s Volunteer Income Tax Assistance (VITA) program. According to the IRS website, the VITA program serves people who generally make $54,000 per year or less, as well as people with disabilities or limited English language knowledge who need help preparing their own tax returns. Along with VITA, the Tax Counseling for the Elderly (TCE) program provides tax preparation to all taxpayers, especially those who are at least 60 years old. The TCE program is designed to help answer questions about pensions and other retirement-related issues. Washington and Lee acknowledges and appreciates the willingness of Lexington Presbyterian Church, the Glasgow Library, and Buena Vista City Schools to collaborate and open their facilities for VITA. Walk-ins are welcome and will be assisted on a first-come, first-served basis. For more information, email Jack Bovay at bovayj@wlu.edu.